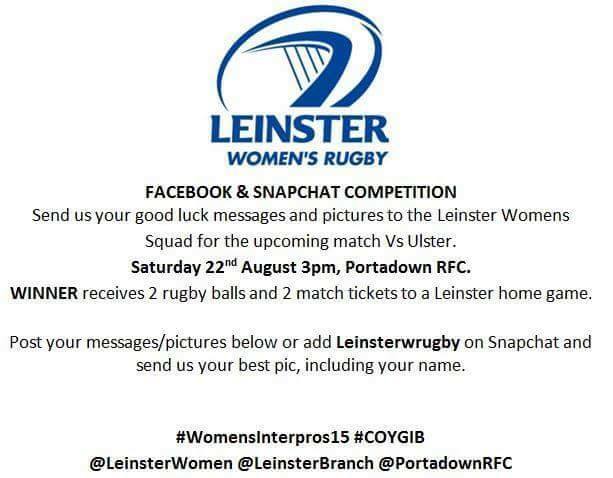 To mark the upcoming Inter-provincial Series, Leinster Women's Rugby are running a competition for followers of their Facebook page and also on Snapchat, details below. Click here for a look ahead the championship including an interview with new Leinster captain Ailis Egan. 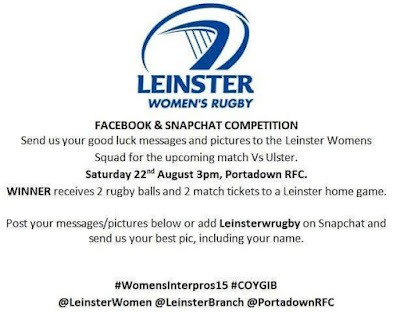 Head on down to a game or two...there's not only a hotly-contested trophy on the line but also spots in Ireland's squad for our Six Nation's title defence up for grabs!